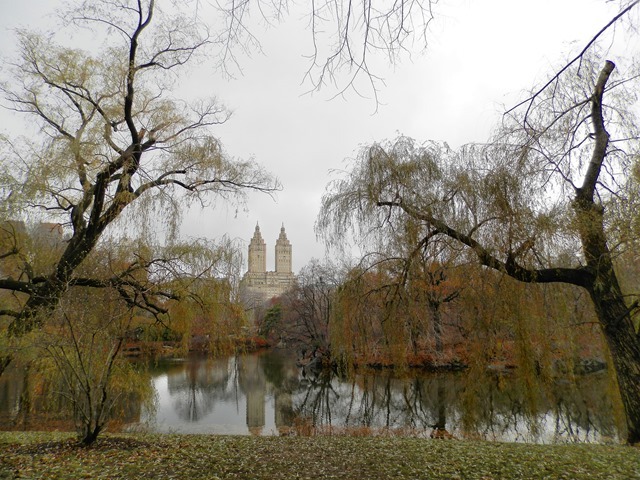 So although it’s been nearly a month since I returned from New York I thought I could still share with you my trip. Plus my lovely Grandad is wanting to see what I got up to on our trip! 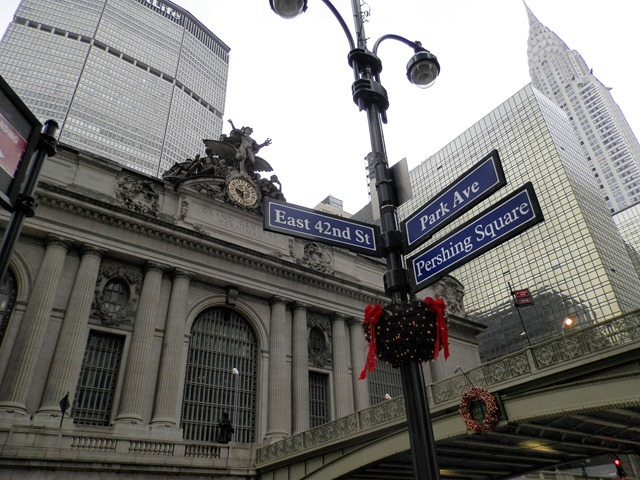 Day 2 of our Ney York trip was Thanksgiving day. So it was a very busy and rememberble day. We woke in the morning had a quick breakfast and headed straight to find out spots to watch the Macy’s Thanksgiving Parade. It was very surreal heading out into the streets to see that they were empty of traffic and full of people instead. 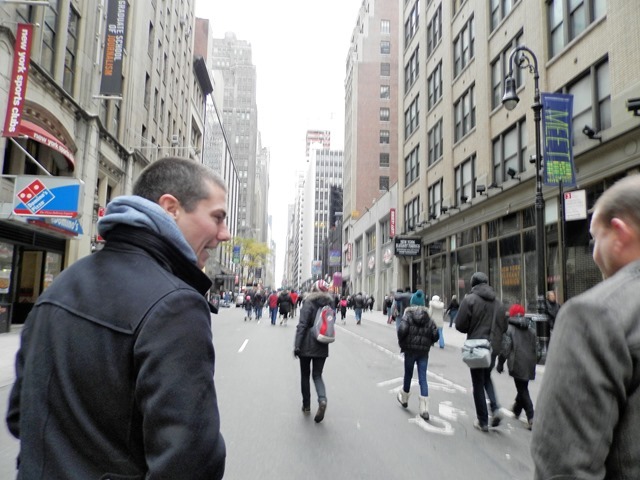 However we unfortunately didn’t head out early enough and found that all streets were closed to pedestrians so we couldn’t get to the other side of 6th Avenue where our friends were. 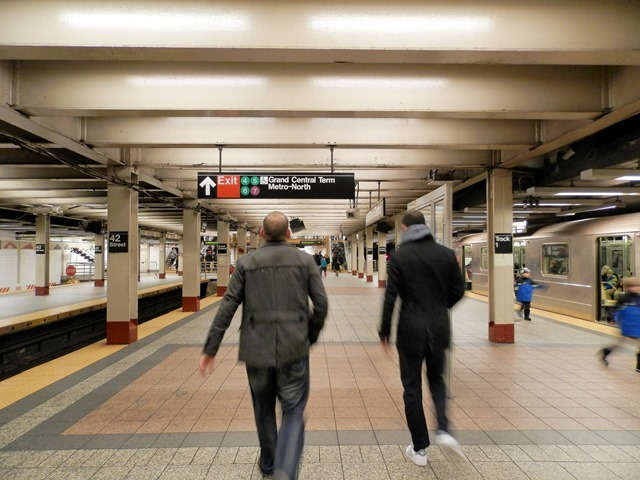 After half an hour of begging police men to let us across we decided to jump on the underground and go under 6th Avenue. 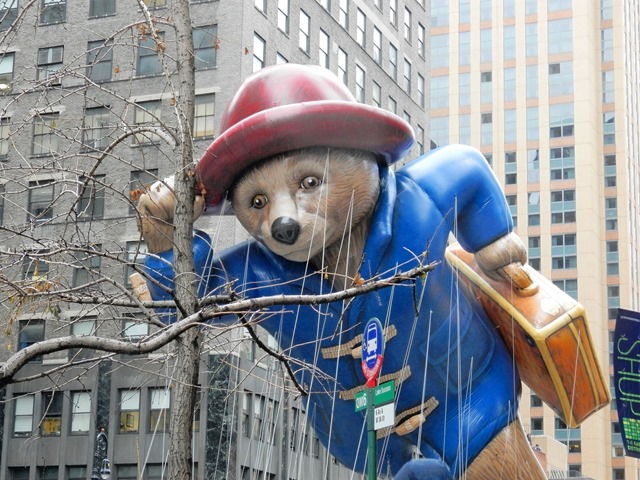 So my top tip if you were to go to New York for the Thanksgiving Parade would be to head out super early to be able to get to where you need to be but also so you can get close to the front. 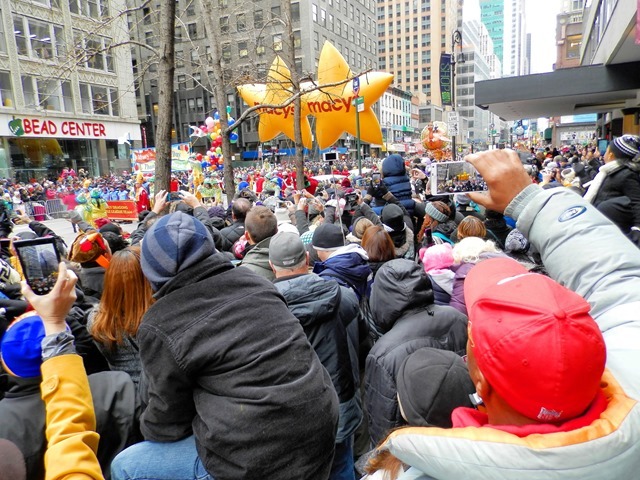 We managed to meet our friends and picked out our spot for the famous Macy’s Thanksgiving Parade. The parade was crazy busy with families, friends, tourists and locals all enjoying the many floats. We managed to brave the cold and the snow for an hour and a half and decided to head for lunch to warm up. For lunch we went to Justin Timberlakes place – Southern Hospitality. 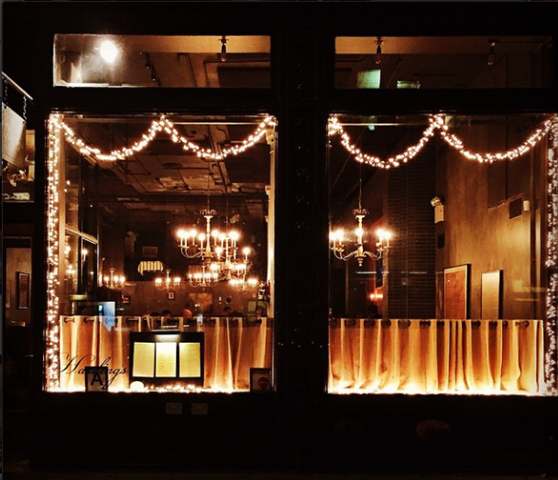 It wasn’t too busy – maybe BBQ places aren’t the number one place to eat on Thanksgiving. However we would definitely recommend it. As a BBQ restaurant the menu was similar to that or Red’s BBQ here in the UK. Lots of pulled pork, sandwiches, sliders, burgers and the biggest pile of nachos I’ve had! 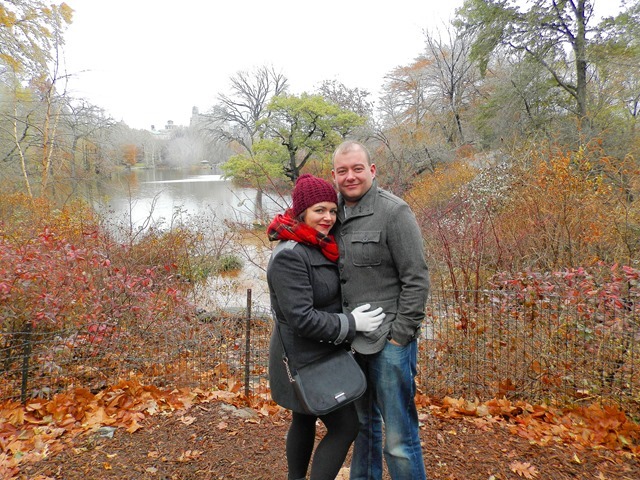 After a very hearty lunch we thought it was a good idea to walk it off in Central Park. 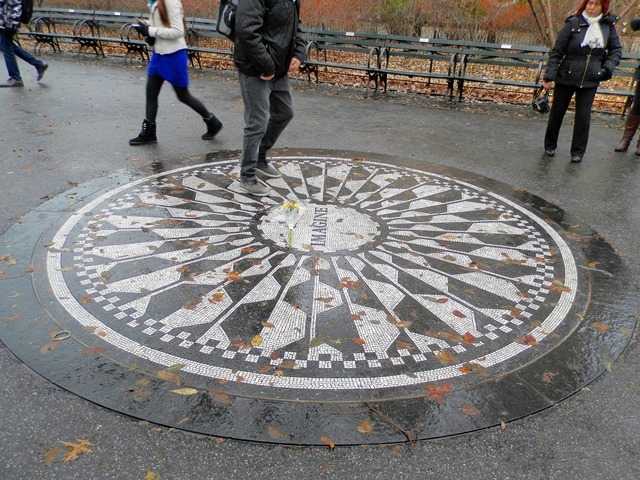 We caught the underground up town and jumped off at 72nd Street at the spot in which John Lennon was shot. The entrance to Central Pak on 72nd Street has been turned into a little memorial to John Lennon with the Imagine plaque above being the centre piece. 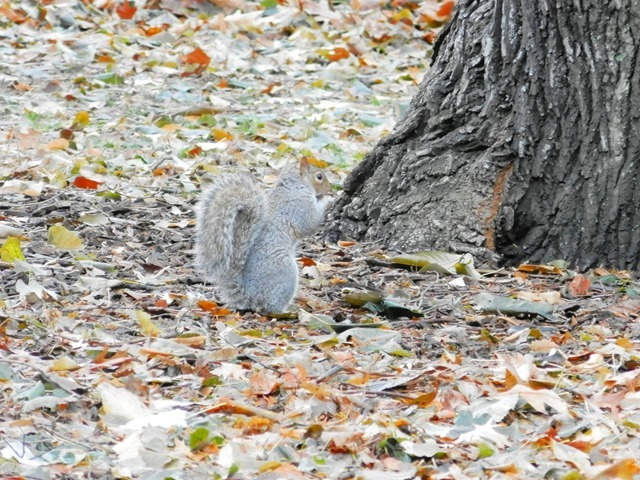 It was no surprise that this was also one of the busiest spots for photos in the park. 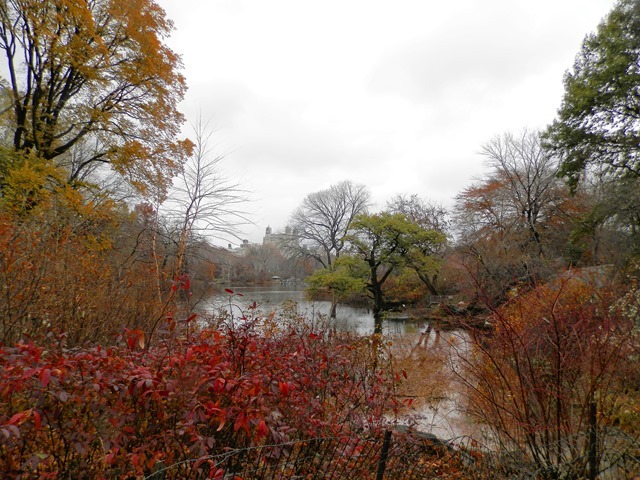 We wandered further into the park and were pleased to find it wasn’t too busy. Probably because the majority of New Yorkers were enjoying their Thanksgiving Dinner. 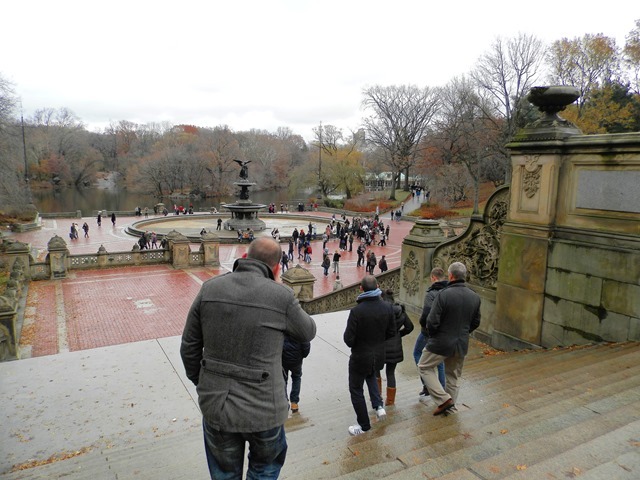 I was pleased to come across the famous steps which have featured in many movies and TV shows – more memorably for me – Gossip Girl. Underneath the steps in the arches were a choir singing Christmas carols – which was beautiful It started to fill me with festive spirit. 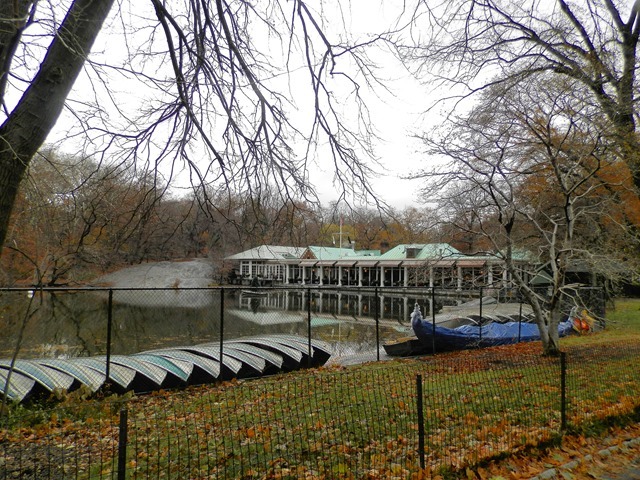 We strolled towards the notorious and beautiful Boat House for a warming Hot Chocolate. 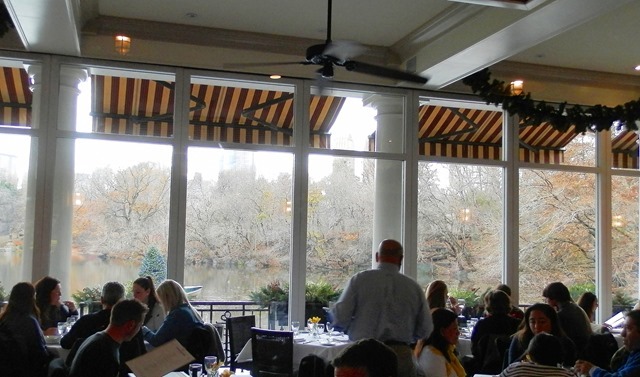 The Central Park Boat House had been a suggestion for Thanksgiving Dinner, however we decided on somewhere in midtown instead so chose to visit for a drink to at least experience it. The Boat House was very busy and separated into two areas, one the restaurant and further back the cafe. As we had no reservations we battled for a table in the cafe and enjoyed our hot chocolate with views over the lake. 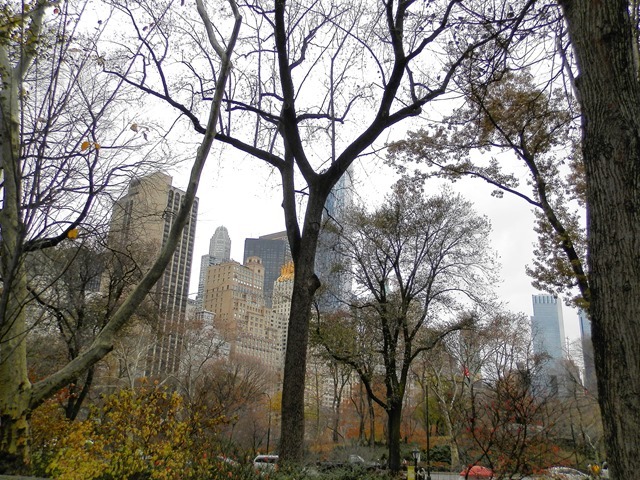 After an afternoon walk in Central Park we headed back towards mid-town and our hotels to ready ourselves for Thanksgiving Dinner. 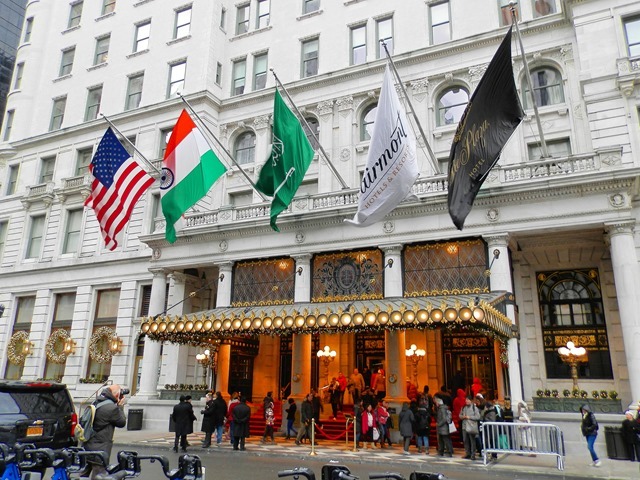 However not before a stop at the famous Park Plaza Hotel – yes the one from Home Alone 2! The 20 story building is quite a sight, truly beautiful and very Christmassy Hotel. Oh to have £500 to spend a night there! As it was Thanksgiving it was only polite that we adopted their traditions and enjoyed a big Thanksgiving Dinner. We had booked a table at Harding’s in Midtown. Harding’s was very trendy yet relaxed. There was a sophisticated atmosphere and elegance about the place. They say that their place is all about classic America, which I can definitely see! 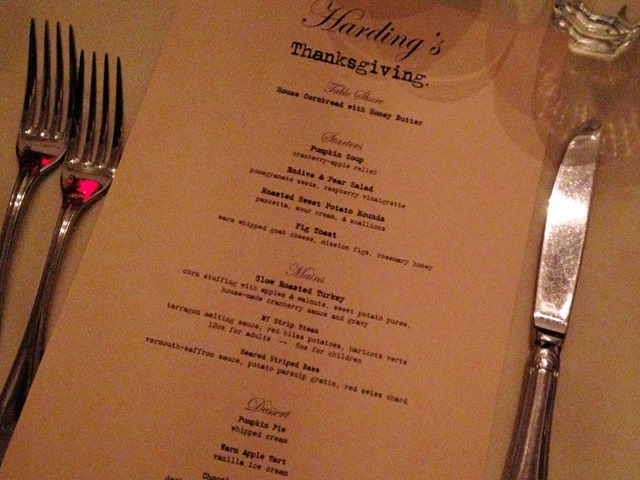 We were lucky enough to be given the private dining room where we enjoyed our three course Thanksgiving Dinner. We were all very impressed. I even tried some Pumpkin Pie which I wasn’t really into. I like the idea of it but not the texture – so don’t think I’ll be loving that American classic! After dinner we headed to Jay Z’s bar 40/40 which is only a couple of blocks away. The bar way very swish with walls lined with bottles of champagne and the Thanksgiving football being played on may large screens throughout the bar. We enjoyed a few beers as I tried and failed to learn the rules of American football! 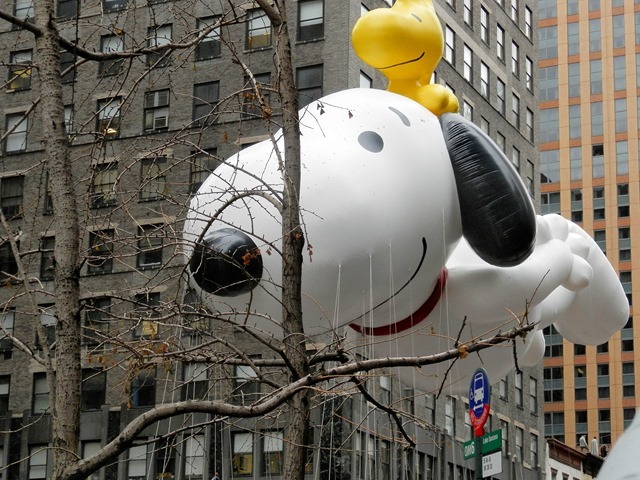 Have you ever celebrated Thanksgiving Day in the USA? Or have you visited any of the places mentioned above? 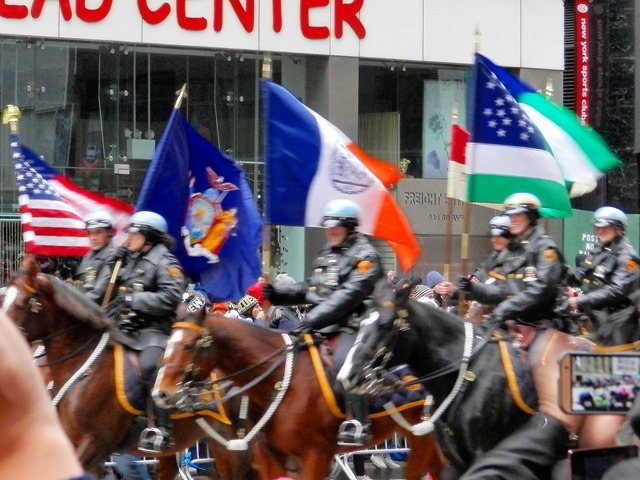 Awww I love the parade it reminds me of Miracle on 34th Street!! 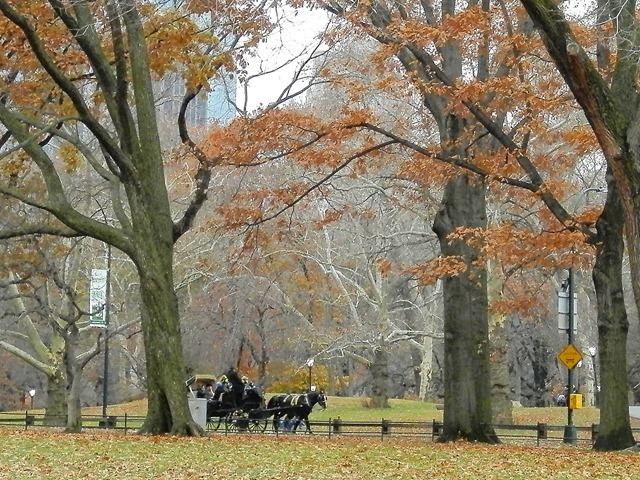 I’d love to visit NYC for Thanksgiving or 4th of July! Love your pictures. Running: where did the fun go? What is the hell is a slow runner?